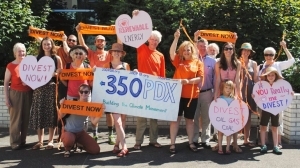 The Fossil Fuel Industry is challenging the fossil fuel terminal zoning amendments passed by City Council last fall. 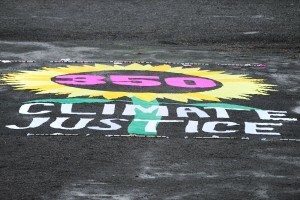 Want to take action to protect the fossil fuel infrastructure ban? Call the office of Ted Wheeler and let his office know you support The City of Portland doing everything it can to defend the Fossil Fuel Terminal Zoning Code Amendments. 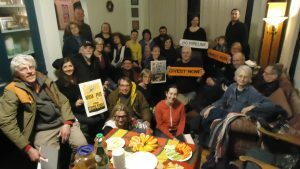 The Bulk Fossil Fuel Terminal zoning code amendments the Portland City Council adopted on December 14th have been appealed to the Oregon Land Use Board of Appeals (LUBA). 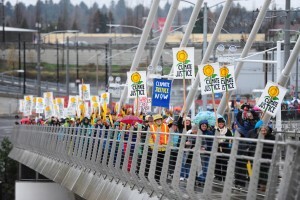 The folks appealing (called petitioners) are the Columbia Pacific Building Trades Council, Portland Business Alliance, and Western States Petroleum Association, and are represented by the Miller Nash law firm. LUBA is a statutorily created body with exclusive jurisdiction to review final local land use decisions. The kinds of decisions that can be appealed to LUBA include approvals or denials of individual land use applications (called quasi-judicial decisions) or the adoption of zoning code or comprehensive plan amendments (called legislative decisions). LUBA consists of three board members who are attorneys and are appointed by the Governor for 4-year terms. In general, LUBA’s review is “on the record”—that is limited to the evidence and testimony compiled during the local proceedings leading to the appealed decision. LUBA does not hear new evidence like a trial court. LUBA typically decides an appeal in one of three ways: by affirming (upholding) the City decision, remanding it (sending it back to fix errors that can be corrected), or reversing it (overturning a decision that can’t be fixed). Overall, it takes 4-6 months to resolve a LUBA appeal from beginning to end. If either side is unhappy with LUBA’s decision, it can be appealed to the Oregon Court of Appeals. An appeal proceeds in 21-day increments. It begins when a petitioner files a Notice of Intent to Appeal (NITA) with LUBA. The timeline for filing an appeal is very short: within 21 days of the date of the local decision. The NITA tells us only what decision is being appealed and by whom. It does not tell us why the petitioner believes the decision is flawed. Then city then has 21 days to file the record of City proceedings with LUBA. The petitioner’s brief is due 21 days after that and contains the petitioner’s legal assertions about what is wrong with the City’s decision. The city attorney files the City’s brief 21 days later and that is where the city responds to the petitioner’s arguments. LUBA issues a written opinion 4-5 weeks after oral argument.